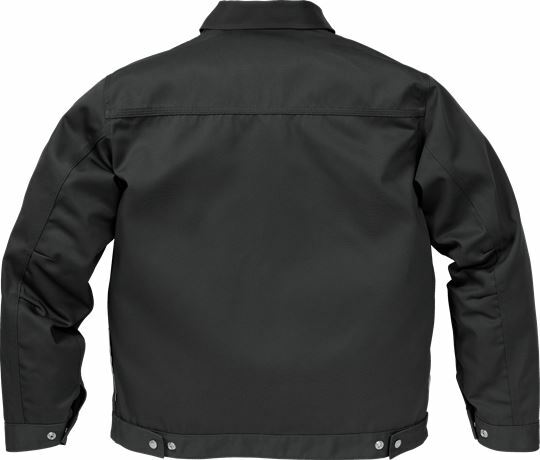 Jacket with zip front for industrial work in durable material with high colour fastness. 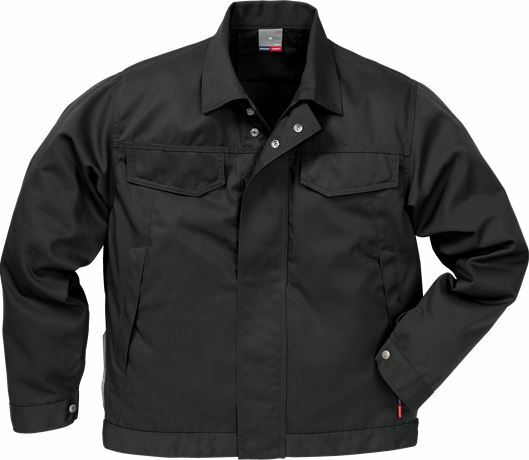 The colours are aligned with all industry garments making them easy to mix and match. Approved for industrial laundry. 3-needle fell seams / Contrast stitching / Pre-shaped elbows / Adjustable cuffs and waistband / Wide back with yoke / Zip front with storm flap / Reflective detailing in side seams / 2 chest pockets with flap and inside pocket / Mobile phone pocket with zip and storm flap / Diagonal cut front with integrated side pockets and inside pocket / Inside pocket with button fastening / Neck flap for barcode or chip / Leasing laundry-tested according to ISO 15797 / OEKO-TEX® certified.